Administrative Law Judge (ALJ) Adeniyi Ayoade, Office of Administrative Hearings (OAH), State of California, heard this matter in San Jose, California, on November 14, 15, 16, and 30, 2011. Mother represented Student in this due process hearing. Student and his aunt also attended the due process hearing. 1 In order to assist Mother, an English-Spanish language interpreter provided translation services to Mother on each day of the hearing. Marina Martinez provided translation services on November 14 and 15, Ingrid Holm on November 16, and Mina Rivera on November 30, 2011. Elizabeth Rho-Ng, Attorney at Law, represented the Franklin-McKinley School District (District). Dr. Ray Easler, District’s Director of Special Education, attended all hearing days. 1 Student attended all four days of the hearing while his aunt (Mother’s sister) attended only the first three days. To maintain Student’s privacy, the name of Student’s aunt is not identified in this decision. removed writing and reading “therapies”? 2. Whether District denied Student a FAPE when it denied Parent’s request for an independent educational evaluation (IEE) in the area of dyslexia? Student requests an order requiring District to: 1) transfer him from his current school to “James Smith School” within the Evergreen School District, and 2) provide him with an IEE in the area of dyslexia at public expense. Student asserts that District denied him a FAPE because its May 11, 2011 IEP did not contain third grade education level or standard (curriculum), and because it removed writing and reading therapies. Further, Student contends that District denied him a FAPE because it denied Parent’s request for an IEE in the area of dyslexia. By “therapies,” Mother meant reading remediation/intervention service, and the occupational therapy (OT) service that Student was receiving for his reading and writing issues, respectively. District denied all allegations and contends that its May 11, 2011 IEP was reasonably calculated to provide Student with meaningful educational benefit, and that Student would have received a FAPE with its IEP offer. Further, District asserts that Student is not entitled to an IEE because it agreed to conduct the dyslexia assessment requested by the Parent. District argues that Parent failed to consent to the assessment, and did not request an IEE prior to the filing of Student’s complaint. Thus, District contends that Student is not entitled to an IEE. 2 To maintain a clear record, the closing briefs have been marked as exhibits. Student’s brief has been marked as Student’s Exhibit 26, and District’s brief has been marked as District’s Exhibit 45. 3 The two issues in this due process hearing are as determined sufficient in the “Order of Determination of Sufficiency of Due Process Complaint” issued by OAH on September 2, 2011. As set forth herein, the issues have been clarified and reframed for clarity. 1. Student is a nine-year-old boy who resides with Mother within the District’s geographical boundaries. He is presently eligible for special education services under the primary eligibility category of specific learning disability (SLD) and secondary eligibility category of speech and language impairment (SLI). 2. Student has a medical diagnosis of progressive high myopia and near sightedness, and wears eyeglasses as a result. His initial psycho-educational evaluation dated January 28, 2010 showed that Student’s cognitive ability was delayed, placing him between a low average range and borderline cognitive ability levels. He was in the sixth percentile rank based on his Full Scale IQ standard test. 4 Thus, Student has struggled in the areas of academics, visual processing, auditory processing, attention, and speech and language. Student’s disability continues to affect his education and academic progress. Student has needed and received individual attention/help with his academic works, either in the resource room or in small group classroom settings. 3. During the 2010-2011 school year (SY), Student’s areas of needs included reading, spelling, math, speech and language, fine motor skills, and attention due to his struggles with independent work. Student’s last-agreed-to and implemented educational program was the January 28, 2010 IEP, as amended on March 22, 2010, had goals for Student in all areas of needs. Pursuant to the IEP, Student received Resource Specialist Program (RSP) services for his academic needs. He received speech and language (SAL) therapy to address his oral language and articulation deficits, and occupational therapy (OT) services to address his fine motor deficits relating to his writing skills, and visual motor and eye-tracking skills. Student is very polite and well behaved. He enjoys swimming, soccer and computer games. At hearing, Student was pleasant, polite, and very well behaved. 4. Student last attended a general education second grade class at Ramblewood School (Ramblewood) during the 2010-2011 SY. He has not attended school during the 2011-2012 SY because Mother withdrew him from school due to Mother’s dispute with District regarding the May 11, 2011 IEP offer. 4 Student achieved a standard test score of 77 in the Universal Nonverbal Intelligence Test (UNIT) Standard Battery. District believes that Student’s academic issue is a result of his learning disability and his cognitive deficits. 5. Student first became eligible for special education at an IEP team meeting held on January 28, 2010. He was found eligible under the primary eligibility category of SLD and a secondary eligibility category of SLI. Student received 120 minutes of RSP services per week, in four pull-out small-groups sessions, at 30 minutes per session, and two pull-out group SAL therapy sessions per week at 20 minutes per session. All services were provided at Student’s public school placement, Ramblewood. At the January 28, 2010 IEP team meeting, the team discussed some concerns regarding Student’s fine motor development, and the team agreed that an OT assessment of Student would be necessary. The team would reconvene after the OT assessment was completed. 6. An IEP team meeting was held on March 22, 2010, to review results from the OT assessment conducted by Geri Wells-Germaine, occupational therapist. Ms. Wells-Germaine is an independent contractor who has been working with District’s students for about 11 years. She has been licensed and worked as an occupational therapist since 1980. She has experience conducting assessments and providing OT services to special needs students. She has participated in several IEP team meetings and in the development of IEP goals, services, supports, and accommodations. Apart from her work with District, Ms. Wells-Germaine has about 17 years of professional OT experience, serving other students in other districts and county offices of education. Based on her education and professional background, Ms. Wells-Germaine demonstrated adequate professional knowledge and experience, and an understanding of Student’s disability and OT needs. 7. The OT assessment showed that Student had difficulties with printing and formation of letters due to his “functional limitation in the areas of visual motor” and its impact on his printing skills. The assessor recommended individual pull-out OT services for Student, two times a week, for 30 minutes per session. The IEP team members accepted the recommendation, and District offered the recommended frequency and duration of OT service to Student in the March 22, 2010 IEP addendum. Parent consented to the OT goals and services offered in the IEP addendum. Ms. Wells-Germaine provided the agreed upon OT services for the remainder of the 2010-2011 SY. 8. The IEP team met on December 2, 2010 for development of Student’s annual IEP. The team considered reports from Amanda Leslie, Student’s teacher, Meredith Chew, speech therapist, Kristianna Beck, resource specialist, Ms. Wells-Germaine and Mother, regarding Student’s functioning and unique needs. The team discussed area of concerns for Student based on the input from Mother and District’s staff. Even though Student was in the second grade during the 2010-2011 SY, his functional academic skill was estimated to be around that of a kindergarten level student in both language arts and math. Student’s reading ability was between that of a late kindergarten and early first grade level. He was behind in all academic areas. Student’s teacher reported that his inability to remain focused was impacting his academic performance severely, and that he did not enjoy independent work. 9. The team agreed that Student has deficits in the areas of reading (decoding, fluency, and comprehension), writing (spelling), and issue with turning in his homework. His performance in math, Student’s area of strength, was “inconsistent.” He was noted to have made some progress since the previous SY. Thus, the team determined that for Student to receive educational benefits, he would need goals and related services in the areas of written language, reading, math, expressive language, English language development, attention skills, and articulation. District proposed and discussed Student’s new goals in these areas of need. Accommodations and modifications were discussed and offered. The team was not able to complete the annual review of Student’s IEP on December 2, 2010. Therefore, the team agreed to reconvene to discuss the related services’ hours and complete the IEP at a future date. 10. The IEP team reconvened on January 20, 2011, to complete development of Student’s annual IEP. After reports about Student and his needs were discussed, the team determined that Student required additional supports and services, and District offered Student increased RSP services. Student was offered 280 minutes of RSP services per week, in eight small-group pull-out sessions. Four of the eight RSP sessions were for 30 minutes per session, and the other four for 40 minutes each. Further, Student would receive a total of 45 group pull-out speech and language service per year. The service would be provided two times a week at 20 minutes per session. Student would continue to receive two group pullout OT sessions a week, at 30 minutes per session. Mother did not consent to any portion of the December 2, 2010/January 20, 2011 IEP, or the increased RSP services offered by District, as Mother did not believe that Student’s prior IEP’s had benefited him. 11. A school district provides a FAPE to a student if its program or placement is designed to address the student’s unique educational needs and is reasonably calculated to provide meaningful educational benefits in the LRE. An IEP is evaluated in light of the information available to the IEP team at the time it was developed. It is not judged in hindsight. 5 This is the only IEP that is at issue in this matter. The prior IEP’s were discussed to provide the necessary background regarding some of the issues raised in Student’s complaint. 12. On May 11, 2011, District held an IEP team meeting to review Student’s academic functioning, and make an offer for the 2011-2012 SY. Mother and her attorney, Carly Munson, and other required District’s members of the IEP team attended. A Spanish-English language interpreter was present to provide translation services for Mother. At the meeting, information regarding Student’s present levels of functional performance (PLOP) in all areas of concern for Student, including reading, spelling, math, speech and language, fine motor skills, and attention was shared and discussed. Mother provided her input and the team discussed and considered the input. Goals were presented, and the team discussed related services, accommodations, modifications, and other supports for Student. 13. District’s members of the IEP team noted that Student had received some educational benefits in his general education second grade placement during the 2010-2011 SY. However, the team agreed that Student needed additional help in order to receive meaningful educational benefit from instruction. He had struggled with independent work in the classroom and continued to read at late kindergarten/early first grade level. According to his second grade teacher, Amanda Leslie, Student had “severe” deficits in decoding, fluency, comprehension, spelling, writing, and turning in his homework. 14. District determined that Student needed more one-on-one attention, outside the regular education classroom, for his special education needs. Thus, District offered a change in placement for Student to a special day class (SDC) due to his lack of progress with prior RSP services. Student would receive 150 minutes per day of special education academic instruction in a special day class in place of his then RSP services. Further, based on the recommendations of Ms. Wells-Germaine and Ms. Chew, the IEP team agreed that Student would continue to receive OT services for his visual and fine motor printing skills, and SAL services for his language and articulation deficits. 15. As to OT, Ms. Wells-Germaine reported that Student had made progress in the areas of visual motor, eye-scanning, and eye-teaming. Concerning his printing (writing) skill, Ms. Wells-Germaine reported that Student works well one-on-one but continued to struggle with independent work. However, because of Student’s progress in the area of his visual skill, Ms. Wells-Germaine recommended, and District’s members of the IEP team agreed, that Student’s OT services should be reduced to one time a week, pull-out group, at 30 minutes per session. Student would continue to receive the prior SY 45 service level of sessions of group pull-out SAL per year. 17. Student essentially withdrew this sub-issue at the hearing. 7 During her testimony, Mother admitted that she does not believe that Student was ready for third grade education curriculum/standards “because Student did not have the foundation.” Mother went further to say that she does not believe that Student had the appropriate background for first grade education standards at the time of the May 11, 2011 IEP team meeting. Mother’s testimony was corroborated by the testimony of several others witnesses, including Ms. Leslie (Student’s second grade teacher) and Ms. Beck (the Resource Specialist/RSP teacher). All testified that at the time of the May 11, 2011 IEP team meeting, Student was in the second grade but was performing academically between kindergarten and early first grade levels. 18. Student offered no evidence in support of the assertion that, at the time of the May 11, 2011 IEP team meeting, third grade education curriculum/standards should have been offered to him. Therefore, Student failed to meet his burden on this issue. 19. On this issue, Student failed to offer any evidence to establish that his reading therapy was reduced or removed. Mother and Aunt’s testimony on this issue was very confusing and unhelpful. Rather than offering evidence and/or testimony to substantiate Student’s assertion that District reduced or improperly removed the reading therapy, Mother testified that District did not remove any reading therapy. Instead, Mother made a new allegation to the effect that District had failed to provide the reading therapy during the prior SY or in the first place. As to this additional issue or Mother’s new characterization of the issue -that is, whether District failed to offer reading therapy to Student at all -the evidence failed to support Student’s contention here as well. The evidence showed that Student’s prior IEPs contained reading goals and reading intervention services/therapy, and District had provided such services prior to the May 11, 2011 IEP team meeting. The May 11, 2011 IEP continued to offer reading intervention services/therapy. 6 According to its website, Kumon Learning Center is an “afterschool math and reading enrichment program”. 7 During her testimony, Mother attempted to clarify this issue by saying that the issue was if the District had provided Student with a FAPE for the past couple of years that Student would be at a third grade education curriculum or standard. While District denied Mother’s general contention as to whether Student’s had received a FAPE in the prior SY, this additional issue is not proper for resolution in this case as it was not raised in Student’s compliant. Therefore, this decision does not address the issue of whether Student had received a FAPE during the past SY. 20. The evidence established that District had addressed, and continues to address Student’s reading issues, both in his prior IEP’s and in the May 11, 2011 IEP. District established that Student had received and benefited from appropriate reading intervention services (reading therapy) both in his general education classroom and the RSP program, and based on his IEPs and IEP goals. District demonstrated through its witnesses, including Ms. Leslie and Ms. Beck, that it understood that reading was, and continued to be an area of concern for Student at the time of the May 11, 2011 IEP team meeting. 21. The May 11, 2011 IEP acknowledged reading as an area of concern for Student, and offered goals in reading, written language and English language development, among other reading and language goals. 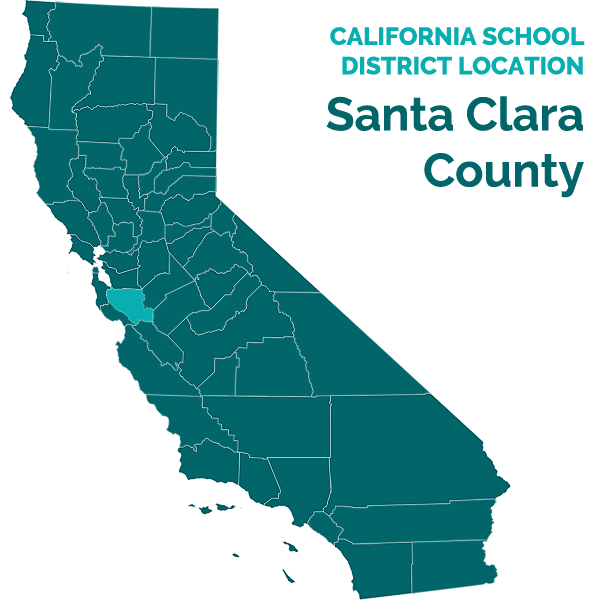 Based on the proposed SDC placement offer, Student would have received additional supports and services to address his unique special education needs in a self-contained SDC classroom. He would have received more reading help (therapy) than the RSP services he received in the prior SY. The SDC has about 14 students, and thus has a smaller teacher-student ratio, Student would receive more individual attention, more supports for his academic work, and greater access to the curriculum. 22. Thus, in the May 11, 2011 IEP, District offered to continue and even increase Student’s reading intervention, and not reduce it. Further, in its IEP offer of December 2, 2010 IEP, and the continuation IEP of January 20, 2011, District offered Student additional RSP services for his academic needs, including reading, but Mother failed to accept the increased RSP services. The evidence failed to establish that the May 11, 2011 IEP reduced Student’s reading therapy. In that IEP, rather than reducing Student’s reading intervention services (reading therapy), District offered more reading help to Student. Therefore, Student failed to meet his burden on this issue, whether framed as a “reduction or improper removal of reading therapy” issue, or a “failure to offer reading therapy in the May 11, 2011 IEP” issue. 23. Student’s mother clarified this issue with her testimony at the hearing. She explained that the “writing therapy,” referred to is actually Student’s OT services, which Student had been receiving since March 2010, two times a week at 30 minutes per session. At the hearing, Mother testified that she wanted more OT services because it benefited Student. She believes Student’s writing skill had improved since he last attended Ramblewood, but agreed that Student’s academic and writing skills are low for his age. Otherwise, Student offered no other evidence to show that the reduction in OT services was improper, or that the one session of OT services a week would not have met his unique education needs in the area of writing to provide meaningful educational benefit. 24. At the hearing, Mother asked Student to demonstrate his writing ability/skills with some dictated sentences and the alphabets. Student showed that he is able to write most letters. 8 While he clearly struggles with spelling, his handwriting was legible and clear. He skipped over a number of letters when asked to write the alphabets. District’s witnesses, including Ms. Beck and Ms. Leslie, agreed that Student’s writing ability was at a higher level during the 2010-2011 SY than that demonstrated at the hearing. Both testified that the OT services offered in the May 11, 2011 IEP would have met Student’s writing needs at the time the offer was made. Both believe that Student’s writing skills had regressed slightly since Student last attended school, as Student knew all of his letters while at Ramblewood during the 2010-2011 SY. Both were surprised that Student was unable to write all the letters in the alphabets at the hearing. 25. While the record established that Student’s writing skills remain an area of need, the evidence failed to show that the one-time a week, at 30 minutes per session of OT services offered in the May 11, 2011 IEP would not have met Student’s needs in the area of writing and/or printing. When asked by the ALJ to justify the reduction in the OT services, Ms. Wells-Germaine testified, and was able to establish that the reduction was both proper and appropriate. She explained that the one-time a week, group pull-out OT services, at 30 minutes per session, would meet Student’s needs and that he would be able to benefit from his special education services. Student had made significant progress in the prior year OT goal, and he had received meaningful benefits. Further, regarding her recommendation for group sessions rather than individual sessions, Ms. Wells-Germaine explained that she recommended the group sessions because Student performed better when working with peers, as she had observed in her group sessions with Student during the 2010-2011 SY. She further explained that Student enjoys healthy competition with his peers. Thus, he would be motivated in the group sessions. 26. Ms. Wells-Germaine was credible and her testimony was unchallenged by Mother, or any other witness or testimony. The evidence showed that the reduction was based on an evaluation of Student’s deficits, his needs and accurate level of Student’s functional performance in the area of OT, at the time of the May 11, 2011 IEP team meeting. Because Student had made progress in his OT goals in the areas of visual motor, visual eyescanning and eye-teaming skills, the recommendation to reduce the OT was proper. Ms. Wells-Germaine’s opinion was persuasive based on her professional training, education and experience, and her demonstrated understanding of Student’s disability and OT needs. 27. Therefore, based on the totality of the evidence, Student failed to establish that the one-time per week, group pull-out OT services, at 30 minutes per session would not have met his educational needs. Further, the evidence fails to show that Student would not have benefited from the OT services offered in the May 11, 2011 IEP. The evidence fails to show that Student was denied a FAPE because of District’s OT offer as contained in the May 11, 2011 IEP. Thus, Student failed to meet his burden on this issue. 8 His handwriting sample did not include letters “j” and “p” as the dictated texts did not contain the letters, and Student skipped the letters while writing the alphabet. 28. If a parent disagrees with an assessment obtained by a pubic educational agency, the parent has the right to obtain an IEE at public expense under specified circumstances. The parent must notify the school district that the parent disagrees with the assessment and request that the school district conduct an IEE at public expense. The school district must either file a due process complaint to show that its assessment is appropriate, or provide an IEE at public expense. 29. At the December 2, 2010 IEP team meeting, Mother shared her concern regarding Student reading skills. Mother indicated that Student “confuses” letters and words, and wanted to know if Student is dyslexic. Thus, Mother requested, orally and through a letter, that District conducts a “dyslexia evaluation” of Student. In response, District agreed to conduct additional assessments of Student. According to the IEP team meeting notes, and the corroborative testimonies of many District witnesses, including Dr. Ray Easler, District’s Director of Special Education, Ms. Beck, Resource Specialist, and Amanda Leslie, Student’s Second Grade Teacher, Mother was advised at the IEP team meeting that District would investigate, through assessments, Mother’s concern regarding the question of whether Student is dyslexic. District advised Mother that the assessment would and could be done as soon as Mother signed an assessment plan. 30. After the December 2, 2010 IEP team meeting, Ms. Beck met with the School Psychologist at Ramblewood, Mr. David Rogers, and both developed an assessment plan to address Mother’s request for assessment. The assessment plan included a prior written notice (PWN) to Mother, both dated December 13, 2010. The assessment plan and the PWN were provided to Mother in both English language and Spanish language on December 13, 2010. The English language and the Spanish language versions of the documents contained the same exact information. 31. The PWN indicated that “District agrees to assess Student” because “Parent wants to know if child shows signs of dyslexia.” Regarding the specific assessments tools to be used, the assessment plan indicated that Student would be administered the Jordan Left-Right Reversal Test (JLRRT), and the Visual Aural Digit Span Test (VADS). In the assessment plan, District also proposed an assessment of Student in the area of social adaptive skills and attention-deficit hyperactivity disorder due to staff’s concern regarding Student’s focusing and attention skills. 32. Both the PWN and the assessment plan included the name and phone number of Dr. Easler as the person to be contacted regarding any questions with the proposed assessment or the assessment plan. Specifically, the assessment plan directed Mother to call Dr. Easler with any questions she may have about assessment plan, at a telephone number listed in front of Dr. Easler’s name in the assessment plan. On December 13, 2010, Ms. Beck provided the assessment plan and PWN to Mother in person. However, Mother did not sign the assessment plan or otherwise consent to the assessments. At the hearing, Mother testified that she did not sign the assessment plan because District did not offer a “dyslexia test” to Student. Mother’s testimony is not credible. 33. The evidence failed to support Mother’s contention that she did not consent to the testing and/or sign the assessment plan because she did not know the purpose of the assessment. Contrary to her assertion, the assessment plan clearly indicated that that assessment was being done because “Parent wants to know if child shows signs of dyslexia”. Ms. Beck explained to Mother that the assessment plan was in response to Mother’s request for “dyslexia test,” and that the offered tests would enable District to know whether Student is dyslexic or had some other processing disorder. Ms. Beck, and the written assessment plan, advised Mother that should she have any questions, additional information about the proposed assessments/tests should and could be obtained from Mr. Easler, or Mr. Rogers who would have conducted the VADS and the JLRRT. The evidence showed that Mother did not attempt to contact either Mr. Easler or Mr. Rogers in order to understand the purpose of the proposed assessment that she claimed she did not understand. Mother offered no evidence why she did not call Dr. Easler or Mr. Rogers in order to obtain additional information about the proposed evaluation. 34. Based on the testimonies of both Dr. Easler 9 and Alex Lai, 10 the JLRRT and the VADS offered in the assessment plan would have enabled District to investigate and obtain relevant information about Mother’s concern regarding the question of whether Student is dyslectic or otherwise. Both the VADS and JLRRT are age-appropriate for Student and both are used to identify students with dyslexia, among other kinds of learning disabilities. According to Dr. Easler, the JLRRT looks at letters, words and numbers, and evaluates orientation and laterality. The test asks a student to identify words or numbers, and asks the assessed student to say whether they are printed correctly, backwards or reversed. The VADS consists of various subtests and uses numeric sequences involving the digits 1 through 9. The assessed student is expected to orally repeat or write the sequences from memory. 35. Both Dr. Easler and Mr. Lai demonstrated an understanding and familiarity with the JLRRT and the VADS assessment tools offered in District’s assessment plan of December 13, 2010. Dr. Easler and Mr. Lai testified corroborative and credibly, and were persuasive. Both are qualified to administer the tests, and have used the tests several times before. According to their testimonies, the JLRRT helps to identify students who have difficulty with reversals including letters, numbers, words or letter sequences, among others. It consists of various subtests including letters, numbers, words, and sentences, among others. On its part, the VADS measures visual and auditory perception, short-term memory, and sequencing of information presented. It is designed to serve as part of an assessment of school-aged children with suspected or known learning disabilities including dyslexia. The VADS tests visual and auditory processing, laterality and short-term memory processing skills of the subject student. It looks at whether the student can write or verbally repeat back what is shown to him visually, in correct orders. Mr. Easler explained that these are typical problems associated with dyslexia and the test would have enabled District to investigate Mother’s concern that Student may be dyslexic. 9 Dr. Easler is a trained school psychologist. He has a doctorate degree in psychology with an emphasis in school psychology. He did his minor in clinical psychology, and is accredited by the American Psychological Association. He also received a master’s degree in school psychology and his undergraduate degree in psychology. He holds a teaching credential. He has several years of experience working as a school psychologist and serving special needs students prior to his current position. Prior to working for District, he worked with other school districts as a School Psychologist and Assistant Director of Special Education for about six years, and Director of Special Education for another six years. He worked as a psychologist for a county office of education office for about 15 years. Based on his professional experience, Mr. Easler has worked with special needs students with varying disabilities and needs. He is familiar with various disability categories and the needs of special education students, including those relating to learning disability, speech and language impairment, and various psychoeducational needs. Over his career, he has conducted several hundreds of psychoeducational assessments and reviewed many more. He has administered many assessments’ tools including those used to identify whether a student is dyslexic. He is familiar with Student and his disability having attended several IEPs for Student including the December 2, 2010, and the May 11, 2011 IEP team meeting. 10 Mr. Lai has worked as a credentialed school psychologist for District for about 10 years. He has a bachelor’s degree in psychology and master’s degree in school psychology. He holds a Pupil Personnel Services credential. During his career, he has assessed between 500-600 students regarding their psychoeducational needs. Mr. Lai was District’s School Psychologist who assessed Student in January 2010, as part of District’s initial psychoeducational assessment of Student. He had attended Student’s IEP team meetings. Thus, Mr. Lai demonstrated good knowledge of Student, an understanding of his disability, and his unique educational needs. 36. Both Dr. Easler and Mr. Lai demonstrated an understanding of the nature of learning disabilities, including those that relate to dyslexia. Both essentially agreed that assessment for learning disabilities covers a wide range of concerns and looks at various issues in several areas including reading, writing, math, visual-motor deficits, as well as visual and auditory processing, memory, attention, and processing speed. Mr. Lai explained that dyslexia is a reading problem that often presents itself with decoding and reading fluency problems, and as such is included as a category of learning disability. 37. Based on the totality of the evidence, District did not refuse to conduct the “dyslexia evaluation” requested by Parent. Despite the fact that District and many of its witnesses, including Ms. Wells-Germaine and Ms. Leslie, student’s teacher, did not believe that dyslexia is an area of suspected disability, the evidence established that District agreed to conduct the requested assessment of Student. District timely offered an assessment plan on December 13, 2010, barely 11 days after Mother’s initial and only request for the dyslexia evaluation. It offered appropriate testing tools that would have assisted District in determining whether Student is dyslexic. 38. According to the testimony of District’s witnesses, Mr. Rogers, the School Psychologist at Ramblewood at the time, 11 would have been able to appropriately assess Student and administer the JLRRT and VADS proposed in the assessment pan. The evidence showed that he was qualified to administer these assessments’ tools identified in the December 13, 2010 assessment plan. However, because Mother withheld her consent, District has been unable to assess Student. 11 Mr. Rogers no longer work for District. He did not testify at the hearing. 12 The evidence further showed Student did not request an IEE in the area of dyslexia from District prior to filing the due process complaint herein. The first time Student requested an IEE in the area of dyslexia was in his due process complaint dated August 12, 2011. During the SY 2011-2012, did District fail to provide Student with a FAPE because Student’s IEP did not have annual goals based upon third grade academic standards? 8. Pursuant to Factual Findings 17 and 18, and Legal Conclusions 1 and 6, Student abandoned this issue based on Mother’s admission that Student lacked the necessary background for the third grade education standard or curriculum at the time of the May 11, 2011 IEP team meeting. Pursuant to Factual Findings 11 through 16, at the time of the May 11, 2011 IEP team meeting, Student’s functional academics skills, including reading, writing and math, were quite low and about one-to-two years below his age. He would not have been able to access a third grade education standard or curriculum. Therefore, based on the evidence, District IEP offer of May 11, 2011, consisting of mixed-grades curriculum and standards, (kindergarten through second grade) was based on Student’s accurate PLOP, and thus was appropriate. Student failed to meet his burden in establishing that during the SY 2011-2012, District denied him a FAPE because his IEP did not have third grade education standards or curriculum. During the SY 2011-2012, did District deny Student a FAPE because District removed Reading Therapy in the May 11, 2011 IEP? 9. Pursuant to Factual Findings 11 through 16 and 19 through 22, and Legal Conclusions 1 and 6, Student abandoned this issue. Mother testified that no reading therapy was removed from Student’s May 11, 2011 IEP, but that she had believed that Student was never provided the reading therapy in the first place. The evidence failed to substantiate or support Mother’s belief. The evidence showed that the May 11, 2011 IEP did not reduce Student’s reading intervention services/therapy. To the contrary, in the May 11, 2011 IEP, District offered to continue, and even increase Student’s reading intervention services (reading therapy) rather than reduce it. 10. Based on the May 11, 2011 IEP, for his academic needs, including those in the areas of reading and writing, Student would receive 150 minutes per day of special education services in a special day class. Clearly, the offer of reading intervention as contained in the May 11, 2011 IEP, was more than the previously provided 120 minutes of RSP services per week or the 280 minutes per week of RSP offered in the December2, 2010/January 2, 2011 IEP. 14 Thus, Student failed to meet his burden on this issue that during the SY 2011-2012, District denied him a FAPE because District removed the reading therapy in the May 11, 2011 IEP. During the SY 2011-2012, did District deny Student a FAPE because District removed Writing Therapy in the May 11, 2011 IEP? 11. Pursuant to Factual Findings 11 through 16 and 23 through 27, and Legal Conclusions 1 and 6, Student failed to establish that the reduction of the OT services (writing therapy) to one time per week was improper, or that, as a consequence he was denied a FAPE. Mother offered no persuasive evidence on this issue, and was unable to show that the reduction was either improper or that the OT offer was inadequate. Based on the unchallenged and credible testimony of Ms. Well-Germaine, the reduction was proper and appropriate. It was due to the progress Student had made in his OT goals during the 20102011 SY. The evidence showed that the reduction was based on an evaluation of Student’s deficits, his needs, and accurate level of Student’s functional performance in the area of OT at the time of the May 11, 2011 IEP team meeting. Because Student had made progress in his IEP goals, and particularly in the area of his significant OT deficits -visual motor, visual eye-scanning and eye-teaming skills, the recommendation to reduce the OT was proper. 12. Ms. Wells-Germaine’s testimony is given great weight. She had assessed Student, and worked with him in providing OT services. At the hearing, Mother did not cross-examine Ms. Wells-Germaine, or otherwise disagree with her testimony and opinion regarding Student’s OT needs and the progress Student had made with prior SY’s OT services from Ms. Wells-Germaine. Student’s writing demonstration at the hearing showed that he is able to write, even though he has issues with his spelling. Therefore, Student failed to meet his burden on this issue and the reduction in OT services, to work on writing skills, did not deny Student a FAPE. Whether District denied Student a FAPE when it denied Parent’s request for an IEE in the area of dyslexia? 13. Pursuant to Factual Findings 28 through 39, and Legal Conclusion 7, Student failed to establish that District denied Parent’s request for dyslexia evaluation. The evidence established that District agreed to conduct the “dyslexia evaluation” requested by Parent. District timely offered an assessment plan on December 13, 2010, and offered appropriate testing tools that would have assisted District in determining whether Student is dyslexic. Because Mother withheld her consent, District has been unable to assess Student. Student is not entitled to an IEE, as District has not had the chance to assess Student. Because Parent denied District consent to conduct the requested assessment, there is no assessment with which Student could disagree -a prerequisite for parental request for an IEE. Therefore, Student failed to meet his burden on this issue. As a result, a denial of FAPE is not found. 14. Overall, pursuant to Factual Findings 11 through 39, Student failed to establish that he was denied a FAPE in the LRE through the May 11, 2011 IEP offer. 14 Parent did not consent to the December 2, 2010/January 2, 2011 annual IEP offer, and as such, the 280 minutes of RSP services per week offer was never implemented.